The Joyetech ULTEX T80 Kit with Cubis Max is a compact and powerful pen-style kit with 0.49 inch OLED screen. Consisting of 5ml Cubis Max Tank with NCFilm heater and 80W ULTEX T80 with external 18650 cell, the kit will give you enjoyable and safe vaping. Consisting of powerful ULTEX T80 Battery and Cubis Max Tank, the Joyetech ULTEX T80 Kit with Cubis Max is a compact and elegant TC kit with 0.49 inch intuitive OLED screen and mechanical style & ergonomic construction. 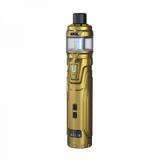 Powered by single 18650 cells with multiple protections, the ULTEX T80 fires up to 80W max output with high performance VW/TC/Bypass modes. • Empty tank. You need to buy e-juice separately. Genuine joyetech product, i checked the official site. Cool! I got this T80 with sale prices, at 10% off. Satisfied. Tube mods are my favorite. But I usually vape mech tubes cuz they have cool design. 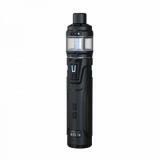 But Joyetech changed my mind with this ULTEX T80 kit. It looks awesome, very mechanized design. Love and recommend! The mechanical tube design of this Joyetech ULTEX looks so cool. 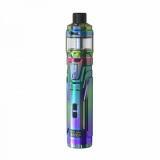 If you're into those mechanical tube mods's appearance but only use safer regulated mods, this would be a good choice. Thank you very much for your good goods inexpensively. Shipping can also be trusted! Great kit,big juice capacity, feels nice in hand, easy to refill, all good. BuyBest offer a reasonable price,like the joyetech kit very much!Works really well and is very easy to top filling. It's a good single 18650 tube kit. The cubis max tank can hold up to 5ml e-liquid, which is enough for my daily needs. The heating element is really interesting. The uneven design is easy to grasp in the hand. This kit definitely looks fancy. My friends recommend it for me. You deserve to have one ! I've spent a lot of time looking for a good vape kit to begin with, and i definitely have no regrets for chosing the Joyetech kit.Easy to clean,give me a best flavor. Good tube mod. Love it has a small screen for data display. Nice design and fine workmanship. I love the idea that the ULTEX T80 comes with a small screen to display essential data as a tube mod. Everything is good. Fast delivery, good package, nice mod. Would recommend!